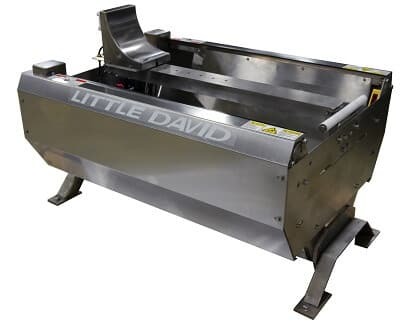 This economical semi-automatic former can process a wide range of boxes for nearly half the cost of our CF-5SS stainless steel carton former. The CF-5AF SS has an open, ergonomic design that allows full access cleaning and requires no adjustment as you change case sizes. Once the box is formed, it is held in place to allow the operator to pack the product into the case. The full case can then be pushed into a case sealer for top and bottom sealing. 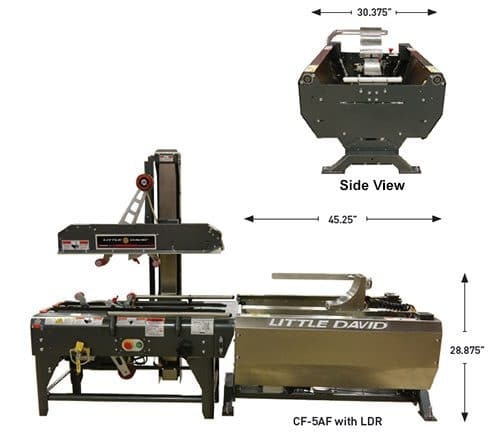 Food processing operations that take extra precautions to eliminate bacteria and other foodborne pathogens can pair it with our LD-Xss washdown case sealer for the ideal sanitary (form, pack and seal) solution.